I am delighted to announce the winners of the 2016 iPhone Photography Awards. With thousands of entries submitted from mobile photographers from over 139 countries throughout the world, the jury had no easy task. The Grand Prize Winner Award goes to Siyuan Niu of Chine for his entry of The Man and the Eagle. First, Second and Third place Awards to to Patryk Kuleta of Poland for his image from the series Modern Cathedrals. Robin Robertis from the United States for her entry She Bends with the Wind and Carolyn Mara Borlenghi also of the United States from her series Wonderland. Additional winning 2016 iPhone Photographers include: Jiayu Ma, Junfeng Wang, Jinsong Hu, Erica Wu, Mette Lampcov, Junbiao Cai, Jian Wang, Patryk Kultea, K K, Bruno Dreux, Lon Bjorn, Amo Passicos, Qinglan Qu, Andrew Montgomery, He Kuankuan, Vasco Galhardo Simoes, Nazaret Sanchez Rodriguez, Yuki Cheung, Jason Greene, Rithwik VJ, Yang Zhang, Lei Yuting, Xianyou, Loulou d’Aki, Hernan Ramos, Liang Huang, Kevin Casey, Kechen Song, Zero Lai, Glenn Homann, Diana Mota, Jen Pollack Bianco, Xia Zhenkai, Scott Woodward, Yi Lin Hu, Elaine Taylor, Geri Centonze, Paddy Chao, Valencia Tom, Coco Liu, Matthew Sullivan, Wen Qi, Fan Long, Maddy McCoy, Nick Ryan, Yongmei Wang, Phillip Nix, Fugen Xiao, Donghai Xia, Shiyang Han, Victor Kintanar, Conchi Munoz, Gianluca Ricoveri. 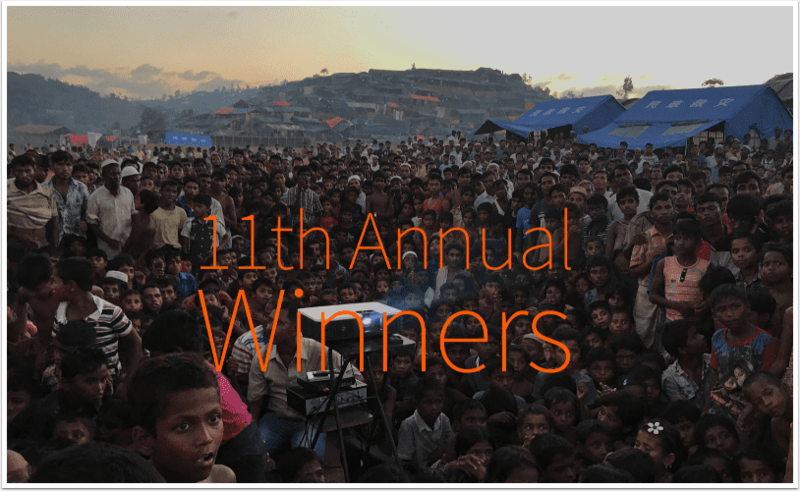 To view all the winning photographs, please go here. We reported on this news previously but it soon became apparent that the original information had not been finalised (see here). This time, it appears that it has, so we’re delighted to view the winners selected from thousands of entries submitted by iPhone photographers from 120 countries around the world. Many congratulations to all, you find a selection of the winners and their images here. The iPhone Photography Awards™ (IPPAWARDS) is proud to announce the winners of the 8th Annual Awards. They were selected from thousands of entries submitted by iPhone photographers from 120 countries around the world. The three Photographers of the Year Awards go to Michal Koralewski of Poland, David Craik of the United Kingdom and Yvonne Lu of the United States. The 1st, 2nd and 3rd places in 17 categories were awarded to 51 photographers. They represented countries far and wide including Australia, Canada, China, Croatia, Ecuador, Egypt, Germany, Hong Kong, India, Ireland, Israel, Kuwait, Malaysia, New Zealand, Poland, Portugal, South Africa, Spain, Switzerland, Taiwan, the United Kingdom and the United States. With just a few hours left to enter your images into the iPhone Photography Awards time is of the essence. Click here to find out more.